All singing all dancing fingerprint recognition locks. Very flash, very expensive and sadly sometimes stop working. Gun safe locked out in the Peak District. Opened and repaired despite some strange German design features. Retro fitted with a lock we know has better reliability. 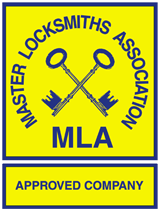 Professional safe engineers, safecracking, lock upgrades. Burg Wachter nine lever TRS11 Secu S1000 lock rekeyed to differ after key theft. Two new keys and now the stolen key cannot open the safe. Safe engineers in Brampton, Dearne Valley.